As a digital marketing agency, one of our primary strengths is video. Visual storytelling is our “thing”, so it’s no big thing to find us out and about, shooting and editing video for the healthcare, high tech, and high finance industries. But it’s not everyday we get ushered into the State House for a video shoot with the Governor of Massachusetts. 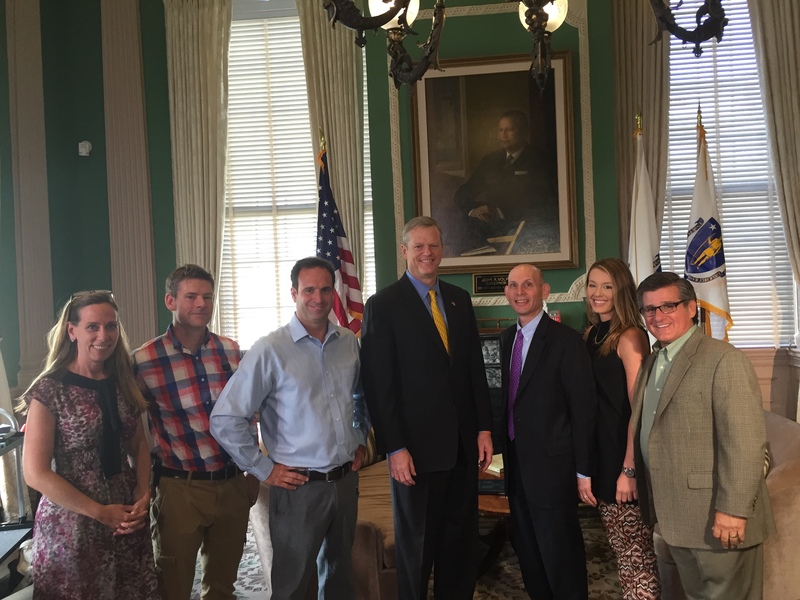 Recently, the team at MK3 Creative got the call from the Governor, on behalf of our client Lahey Health, to shoot a short “thank you” video with Governor Charlie Baker. Directing on-camera talent is one of the many challenges of shooting video, but MK3 didn’t need to flex that muscle with the Governor. Charlie took one look at his talking points, and then tossed them aside and ad-libbed his way through a great on-camera address; on target and off the cuff. It was a great morning at the State House for MK3, working with a natural communicator.